I’m now a third of the way there! Having three shards drop in an hour & 20 mins probably means I’ll not see any more drop this expansion. A Friday evening “ What shall we do? ” guild run led us to do Only the Penitent… in Firelands. A most annoying achievement which needs six people to do. Getting the last part of Do a Barrel Roll was easy to do – that gave me Glory of the Firelands Raider and thus Corrupted Egg of Millagazor! 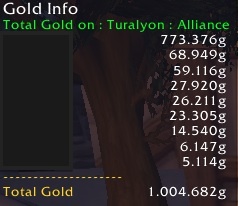 Would’ve been higher if I hadn’t spent some gold on the last two pets for Raiding with Leashes II: Attunement Edition to get Tito to try and improve my shadowpriest’s DPS. Purchasing 310% flying for my hunter to speed up her Warbringer hunting probably didn’t help either! This entry was posted in Waiting for Expansion and tagged World of Warcraft. Bookmark the permalink.